So, the national pundits and Vegas were right: the 11th seeded Gophers pulled the first round upset-that-wasn’t-an-upset over 6-seed UCLA on Friday in a convincing way – beating out the Bruins in a plethora of ways. And hey, after the first 10 minutes or so, the Gophers looked pretty good. They advance to the second round, I get to stay in beautiful Austin, Texas – everybody wins, right? But before you get too giddy looking ahead to the Sweet Sixteen (I know you are. My Twitter feed tells me) -- or I start thinking about continuing my tour of sunny Texas while all of you at home get blasted by sub-zero wins and creamed by snowstorm after snowstorm – take a step back and a deep breath. Florida, as it turns out, is a pretty good team. And more than that, the Gators might be a really problematic matchup for the Gophers. 1. The eye test might not be pretty, but the computers love the Gators. Yes, they play what might be viewed as slow, plodding basketball, but it is also fundamentally sound. The Gators are the only team in the country in the top five of both Ken Pomeroy’s adjusted offensive and adjusted defensive ratings. 2. This is not the same Billy Donavon team of old. Maybe you remember the old Florida teams that loved to run, run, run squads out of the building? Maybe, in fact, that’s what Gophers coach Tubby Smith remembers from his days with Kentucky, as he hinted last night? Well, things have changed. Donovan has placed a MUCH bigger emphasis on defense, and it’s showing. 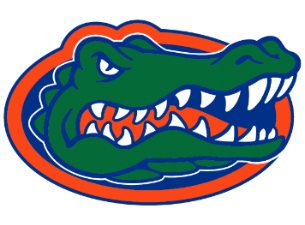 The Gators are still capable of running, but they do so selectively. For the most part, they would be better categorized as incredibly patient. 3. They shoot 3s. Minnesota’s Trevor Mbakwe insinuated that the Gophers might play a lot of zone – which they used heavily and effectively against UCLA on Friday – again against Florida. But the problem there is that when the Gators are forced to make shots from the outside, they’re usually just fine. Florida has four players shooting 32.9 percent or better from behind the arc, including forward Erik Murphy, who is hitting 46.1 percent of his attempts. 4. Defensive threats: they pressure and a zone isn’t out of the question. UCLA didn’t pressure the Gophers and Minnesota had a pretty solid ball handling performance. Things will get trickier against the Gators, who like to harass. Also, just a warning: Florida is mainly a man-to-man team, but going into a 2-3 zone isn’t out of the question. Yes, the Gophers performed really well against the Bruins' zone on Friday, but they also tied for the third most 3-pointers they've had all season. That matters. 5. They’re versatile. Can’t score inside? Fine, they’ll shoot treys. Those aren’t falling? The Gators have no trouble getting the ball into the post. Need a dribble drive? No issues there. To summerize, the Gators can score in a whole lotta ways. 6. They cause a bunch of turnovers. What was this about ball pressure? It’s certainly worked against other teams. Florida has turned over opponents this season in 21.8 of their possessions. Not a good sign for the often butter-fingered Gophers. 7. Their bench isn’t limited. Wasn’t that luxurious for the Gophers to have the advantage for once when it came to the bench? Hope you enjoyed that, because things are back to normal against Florida, who has more than the seven UCLA threw out on Friday. Florida has reserve Will Yuguete back after missing a month with knee surgery and the Gators bench (which has three guys averaging 5.3 or more) has combined for 49 points in the last three games, while the Gophers have managed just 23 in the same span. 8. They don’t have a prolific scorer. The Gators, which have four players averaging double digits, have a lot of balance, but somewhat like the Gophers, don’t always have the one guy that can step up and take over when things start going awry. 9. Anything you can do, I can do better. So you want to play fast? Northwestern State did. No problem. Grind it out in the halfcourt? Well that’s where the Gators specialize. Taking Florida out of its game is tough. 10. Get them in a close game, and you’ve got a shot. This is one of the weirdest stats about this team. While Florida went 26-1 in games decided by double digits, the Gators were a stunning 0-6 in contests determined by six points or fewer. Hanging around in striking distance might be the Gophers’ best chance.